When you're on a ridgeline, you don't get to pick where you camp, the wind does. 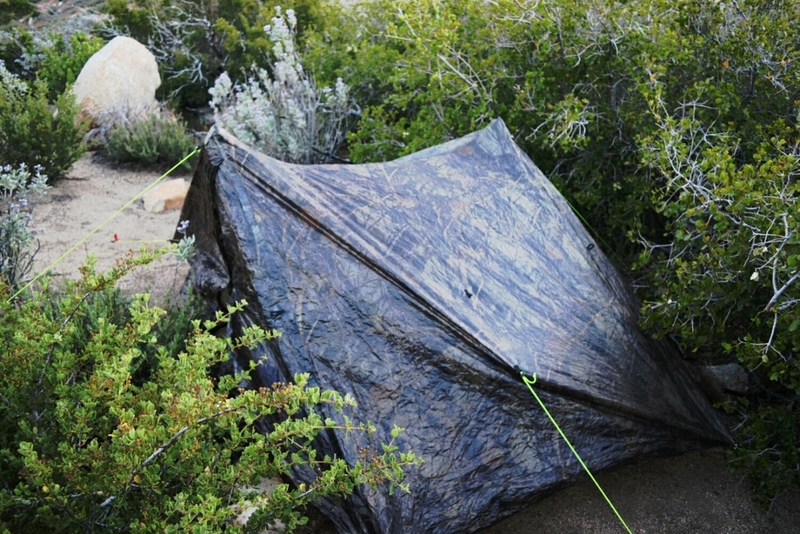 Most ridgeline tent sites so far have been natural clearings suitable for one or more tents. On descents/ascents, these tent sites may be few and far between (far as in a few miles). The descent from Mount San Jacinto has been no different. The wind can reek havoc up here. The night after Mount Laguna, the group I was with had to descend two miles from the ridgeline into the valley to find a better tent site. Down there my tent kept getting knocked over throughout the night from winds that I'm almost certain were gusting sporadically in all four cardinal directions. Later in the trip we found that of the few people camped on the ridge that night, one broke a tent pole and ripped their rainfly. There's another second hand story floating around about a guy whose tent blew away entirely at a different location. One hiker heard him pleading in the middle of the night, "Please, please, please, please, please, can I come in your tent?" Tonight, I'm camped at Mile 197 after walking 14.5 miles and descending 6,000 feet. I tried to set up shop a couple miles before 197, but the wind was not having it. What's special about this place is the shrubbery breaking up the prevailing winds as you can see below.